This week, the first episode of Nine Months with Courtney Cox, a new Facebook Watch docuseries, attracted less than 500k views. 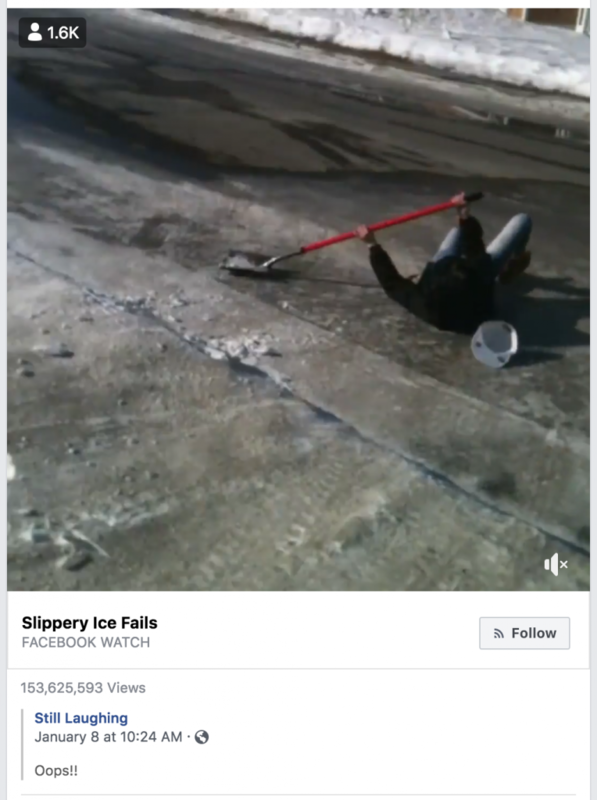 I guess it just couldn’t compete with Slippery Ice Fails. 150m views. Good grief. Facebook will never compete with Netflix, and it’s falling behind in attracting top talent compared to YouTube. But what it can do quite easily is become the online home of mindless daytime TV. And you know what? That’s a niche that many want filling. Previous Post Facebook, WhatsApp, Instagram: will it blend?